With Petey the Cat safely behind bars (for now) it's time for the police force to get to the bottom of Petey's evil ways. What drives him to do such misdeeds? Is it a history of grain-free kibble? Too much playtime with a laser light toy, perhaps? Or maybe he's just tired and hasn't had enough time to catnap. Petey's talking, but is he coming clean? 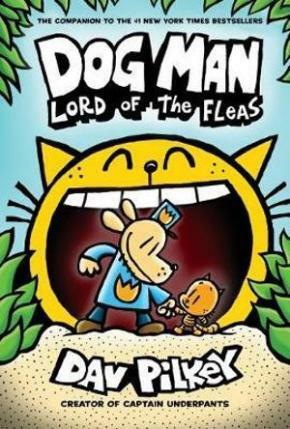 Dog Man and Li'l Petey are on the case and will soon find out whether the felonious feline is crafting a cat's cradle of lies, or if he's finally telling the truth.